This year the DG's Newsletter is being published on the 4th Thursday of the month with copy being received up to one week prior. 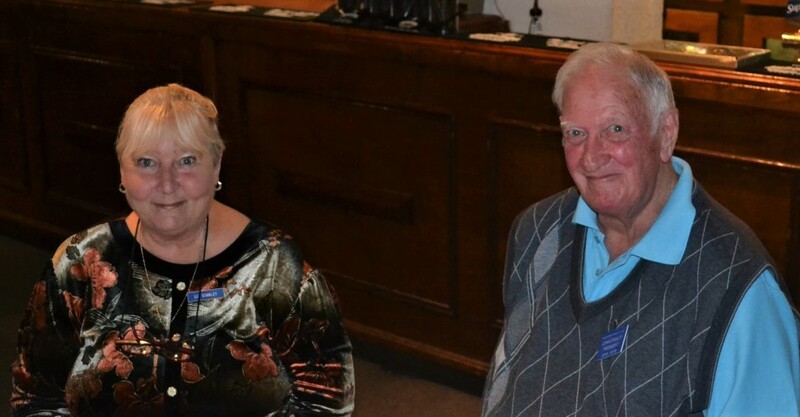 Articles for this publication should be of "Rotary In Action"
Paul and I would like to thank Clubs for the warm welcome extended to us during our visit to Changeovers over the last month. I felt very proud to hear of all the amazing achievements of Clubs over the past year where once again Rotarians came together to take action and create positive lasting change in communities near and far. It was a privilege to induct new members to the family of Rotary and to assist in the presentation of Paul Harris Fellows to Rotarians who exemplify our motto of service above self. 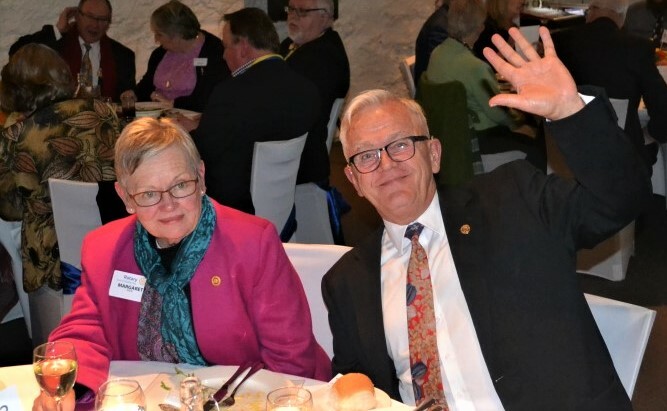 I look forward to participating in Club and District activities over the coming months including the Rotary Club of Glenelg’s Cold Plunge on Sunday August 5 where Paul and I will be taking a quick dip in the chilly waters at Glenelg Beach to raise funds for organisations who support the homeless https://coldplunge.com.au/donations/kim-paul-harvey/. The DG Newsletter is a wonderful opportunity to share the great work of Rotarians and Rotary Clubs across our District and beyond. I look forward to seeing your stories and photos in upcoming issues as we all strive to ‘Be the Inspiration’. 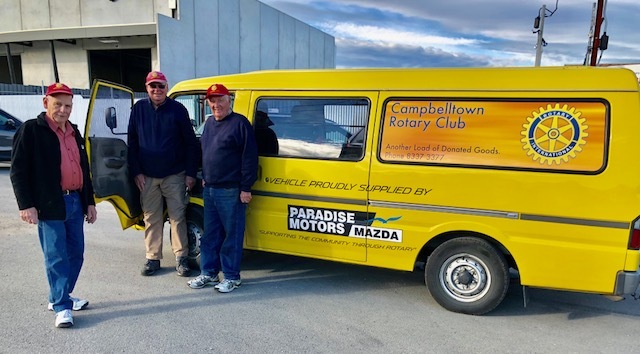 A big thank you to Rotarian Jeff Neale (RC Campbelltown) and Paradise Motors who have once again generously supplied a Rotary branded vehicle to the District through the District Governor for the 2018-2019 Rotary year. 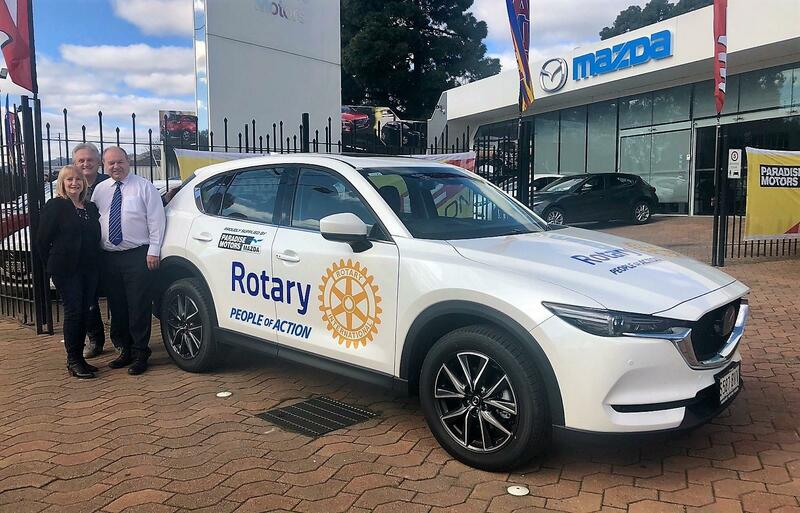 The Mazda CX-5 is a beautiful canvas for the People of Action and End Polio Now messages that will be promoting Rotary during our travels to Club and District meetings and events. Click on the photo album link in the next section to see a selection of photos from recent changeovers. To read the article, please click the read more link. 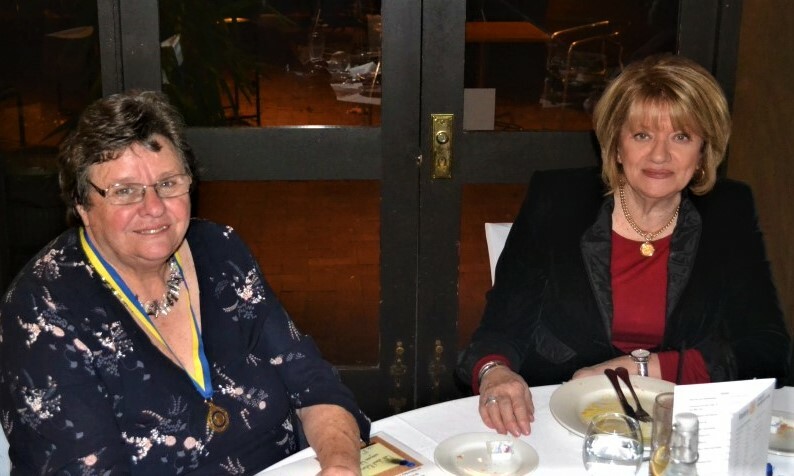 The Rotary Clubs of Noarlunga & Noarlunga East have joined forces in the southern suburbs to create a new club known as the Rotary Club of Morphett Vale. President Dini Whyte presided over the first meeting and the photos below show some of those present. The daughter of Campbelltown charter member, the late Theo Inkenharg, Tieneke, had a fall in her Independent living unit and was transferred to the Flinders Medical Centre with a suspected hip injury. After a period of time she was assessed that she could not return to Independent Living and be transferred to next stage of care at Clayton Homes, Magill SA. Tieneke's cousin Helen Malseed whom has power of attorney and lives in Sydney, was finding it difficult coordinating Tieneke's relocation. A phone call to Rotarian Dave "WACKA" Richards from the RC of Campbelltown (SA) as to whether he was able to assist with the relocation of Tieneke. Paradise Motors and arrange to relocate Tieneke's required furniture and other items to make her comfortable in her permanent "new home". The list below recognises those who have received a PHF or additional pin during the last year. Having trouble viewing this content? Click here to view it online. Some email clients do not allow viewing of this content. Please let us know if your Club has recognised a member or friend of the Club with an award so we can acknowledge them in the DG's Newsletter. 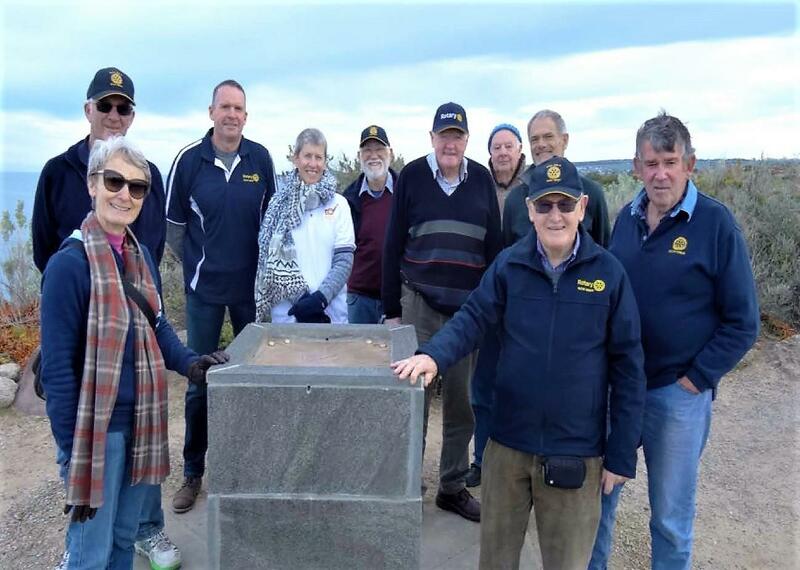 On June 28 a small group of Rotarians and friends visited Granite Island to view the restored direction plate which the Club has restored. The new granite stand was built by Paul Freebairn, a member of the club . The Club thanks Michael Simmons PHF for taking photos on the day. 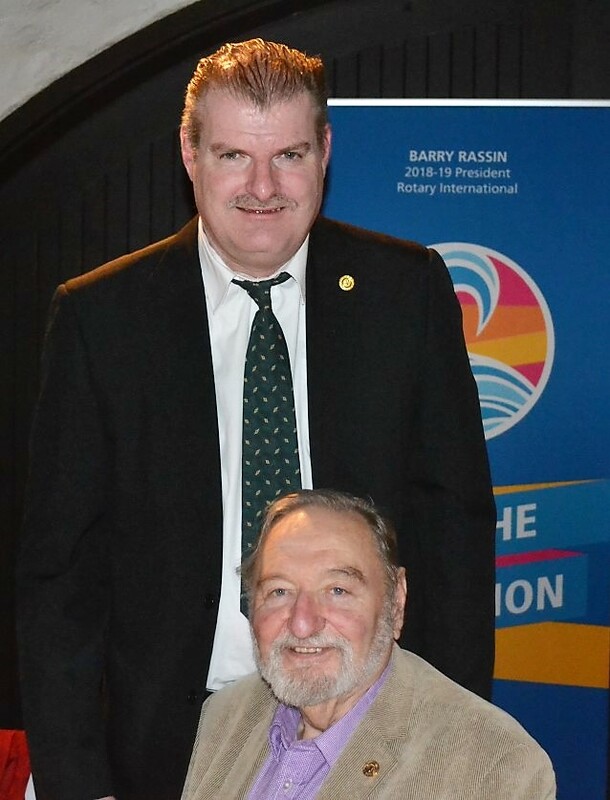 It is exciting news that Sam Camporeale, from the Rotary Club of Mitcham in our District, has taken on the role of Regional Rotary Foundation Co-ordinator (RRFC) from 1 July 2018 through until 30 June 2021. 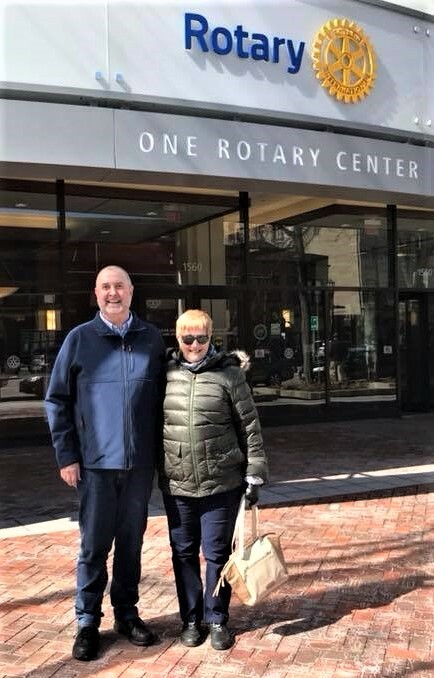 Sam works together with a team of 4 other Rotarians to provide ongoing support and information related to the Rotary Foundation to District Governors and District Rotary Foundation Chairs and Committees across 16 Districts. The territory includes Western Australia, South Australia, much of Victoria, Tasmania, New Zealand and the Pacific Islands. RRFCs serve as a key resource for all Rotary Foundation activities, including grants, fundraising, PolioPlus, and Rotary Peace Centres. They encourage Rotarians to continue to support PolioPlus, Rotary’s highest program priority; support clubs and districts in their fundraising, especially contributions to Rotary’s Annual Fund; teach clubs and districts about Rotary grants; and conduct regional Rotary Foundation seminars to help educate about Foundation opportunities and impact. 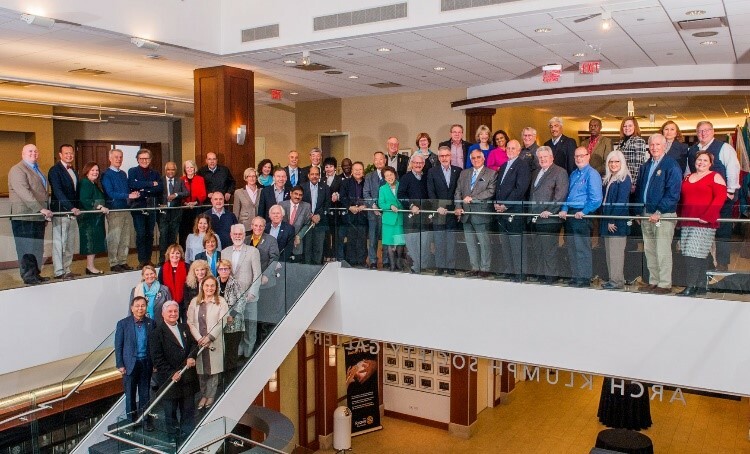 RRFCs work closely with their RI Director, The Rotary Foundation Trustees, Rotary coordinators (RCs), Rotary public image coordinators (RPICs), endowment/major gifts advisers (E/MGAs), and End Polio Now zone coordinators (EPNZCs) in their regions.